Careful With That Axe, Eugene: Announcing........My First Book! 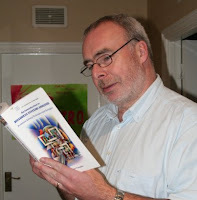 For the past year and a half I have been writing a textbook based on a module that I teach at The National College of Ireland. 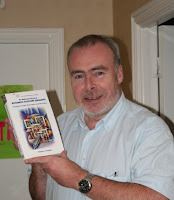 The book is called An Introduction to Business Systems Analysis: Problem-Solving Techniques and Strategies. It is based on the Business Systems Analysis module which is now part of the HETAC Certificate in Business Analysis and Consultancy. This course is delivered by NCI on behalf of the Business Analysts Association of Ireland. I have not mentioned it much in this blog - I preferred to keep relatively quiet about it. 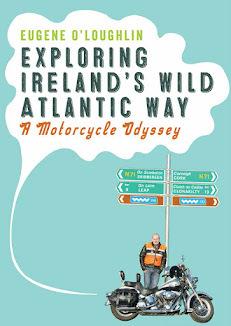 The book is part of NCI's "Changing World of Work" series and is published by The Liffey Press. While I am very proud of the book already - I am fully aware that it is a modest textbook that will have limited appeal. Nevertheless - I am hopeful that it will provide some value for my students on the Business Analysis course. I won't get rich financially with this book, but it has already made me rich in other ways. The first copies of the book arrived today! I am 50 years young and this is my first book - I hope it will not be 50 years until the next. It is a cool feeling having a copy of your own book available on Amazon. As I write, its Sales Rank at Amazon.co.uk is "378,370 in Books". It ranked at about 250,000 yesterday which is better than the 1,000,000 plus earlier in the week - I jumped three quarters of a million places in rank this week! Ranking is calculated hourly, so there must have been an order or two going through. I spent a lot of time - mostly outside of work, writing this book. The hardest part was coming up with examples and exercises to explain each concept. In class I can use examples from the literature, but obviously I cannot use other people's work in my own book. So I had to come up with new ideas, which can be difficult. I can now use this new material in class - I am testing it out on the current class this semester. I have no immediate plans for another book - I'd certainly like to do something in the Learning Technologies area. I'll keep an eye out for ideas - something on Learning Needs Analysis or Project Management might be most useful. Well done Euge, and congrats. Well done Eugene, it's a great achievement.